CADRE Analytic can provide structural analysis reports prepared by licensed professional engineers for many types of structures, from the very small to the very large. Along with conducting a structural analysis for clients, CADRE Analytic can also provide the actual FEA model files, loading files, output data solutions, and the software enabled to allow the client to examine the models in more detail. A principal emphasis in CADRE Pro is the understanding and predicting the behavior of structures under load. Consequently it is a valuable educational tool as well as a powerful commercial analysis application. It allows frame, beam, and plate type structure (or integrated beam and plate structure) to be modeled and solved for loads and stresses or for vibration modes, frequencies, and shock loads. Advanced analysis features include buckling, beam-column effects and incremental solutions for larger displacements as well as shock and seismic solutions. CADRE Pro is designed by practicing professional engineers. It intended to be a general and practical application that will allow the user to tackle a large variety of structural engineering projects from the very large to the very small in a short amount of time. We believe it is the most versatile and easy-to-use structural analysis applications available today. 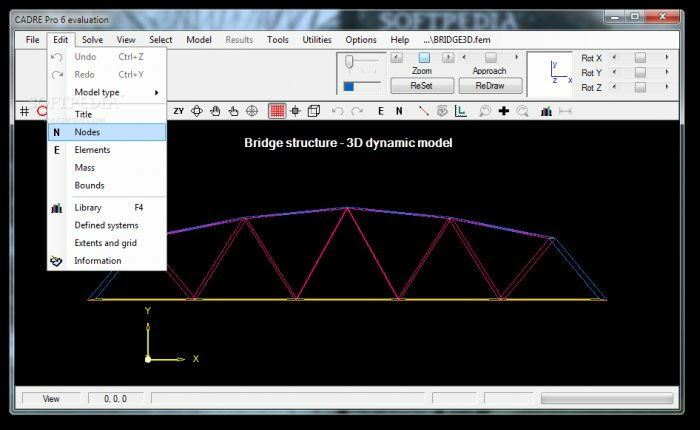 CADRE Pro is a structural analysis application, not a CAD application. 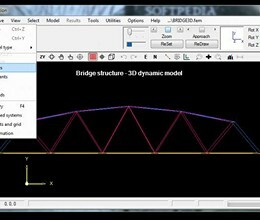 The graphical interface is designed to render a structural model in a fashion that closely represents the physical assumptions of the idealized model and the underlying mathematical equations. * CADRE Pro download link provides trial version of the software. No one has rated CADRE Pro yet. Be the first to rate this product.